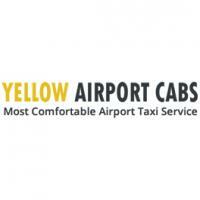 Yellow Airport Cabs updated profile photo. Yellow Airport Cab is the premier taxi cab service provider to all bay area Airports. We provide fast, reliable and timely taxi cab service throughout the following cities; BERKELEY, OAKLAND, EMERYVILLE, ALBANY, KENSINGTON, EL CERRITO, PIEDMONT, MONTCLAIR, ORINDA, MORAGA and surrounding cities. Get 10% off on your first ride, call today 510-428-0202 and book your taxi cab.